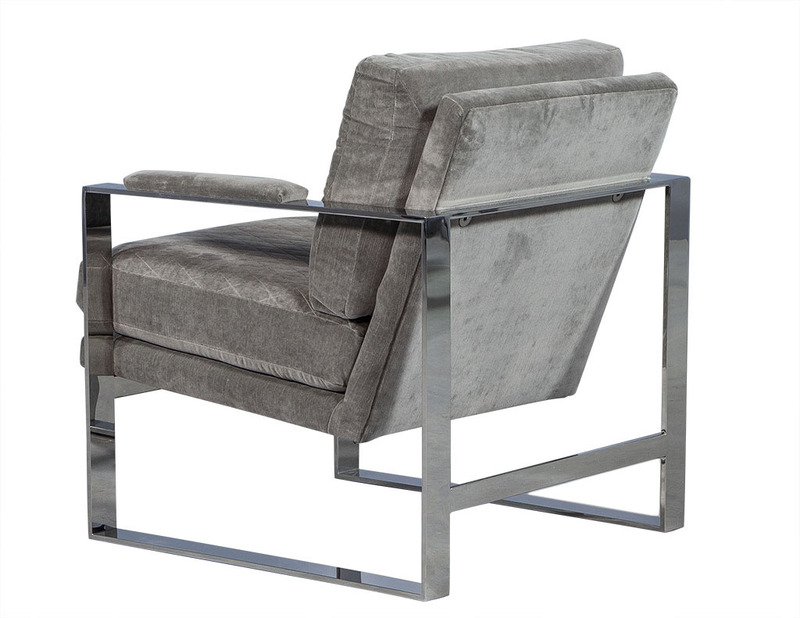 These Contemporary lounge chairs are absolutely luxe. 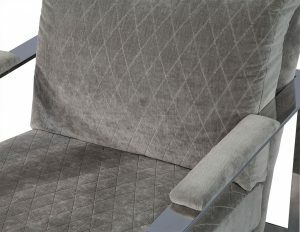 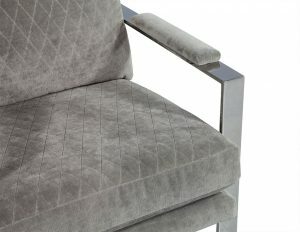 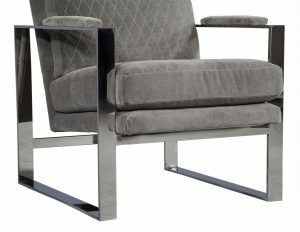 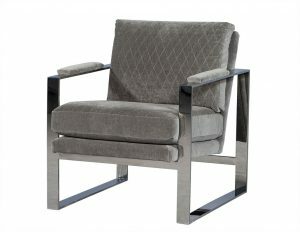 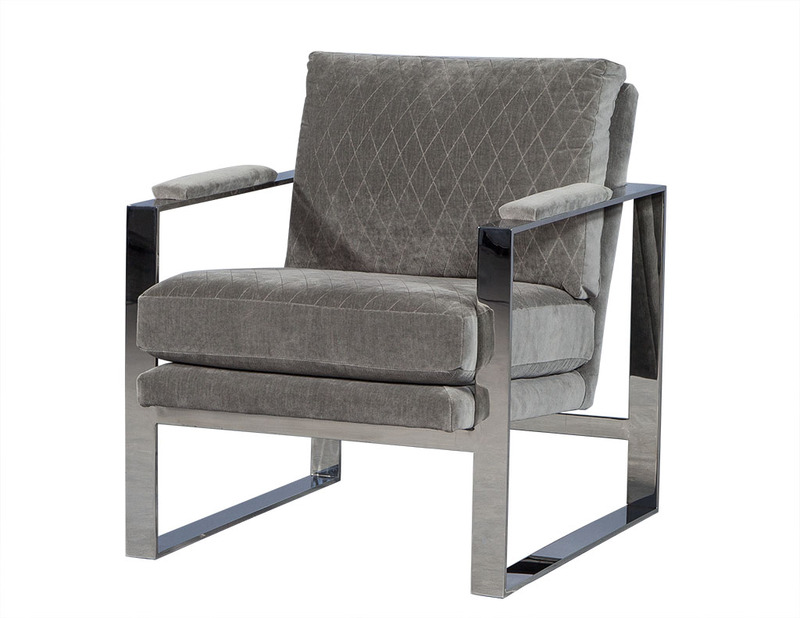 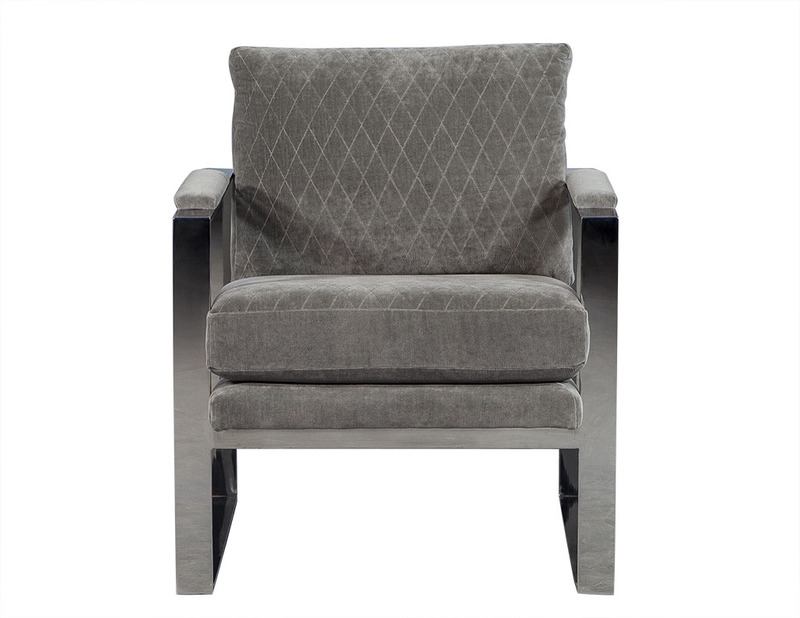 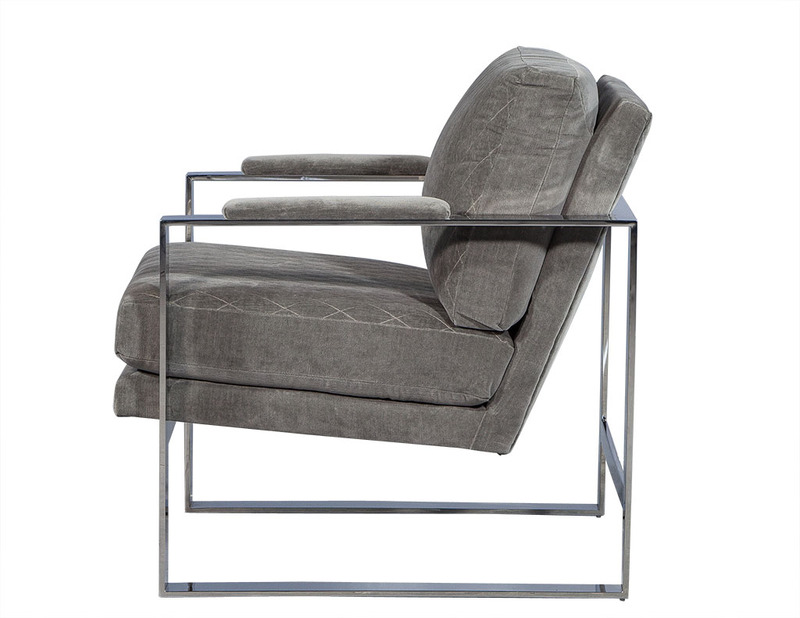 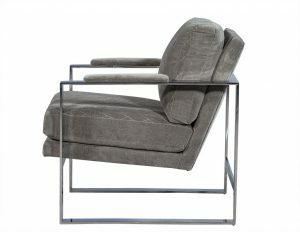 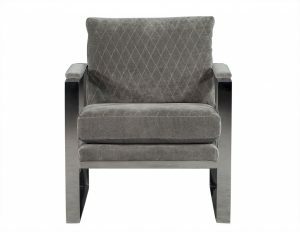 They sit atop stainless steel square frames and the non-removable seat and back cushions are upholstered in a light grey velvet with a diamond-shaped stitched pattern. 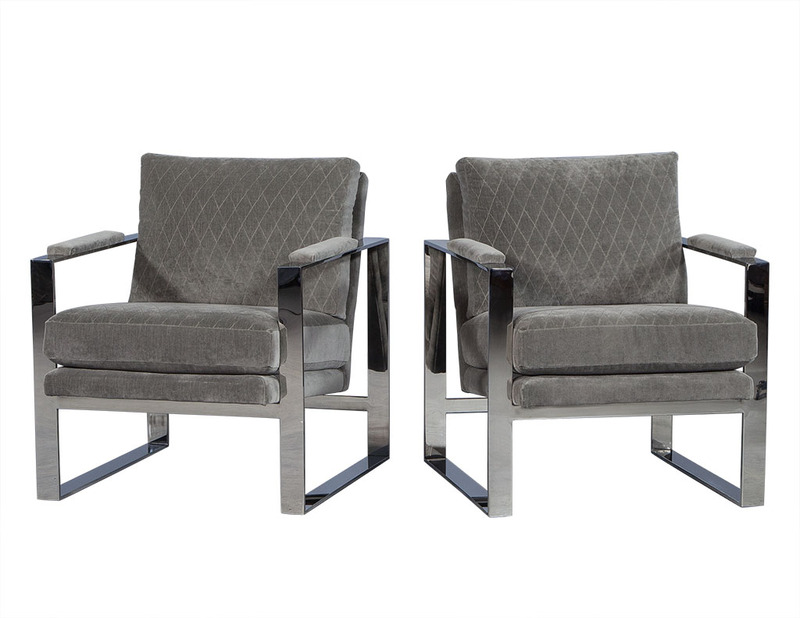 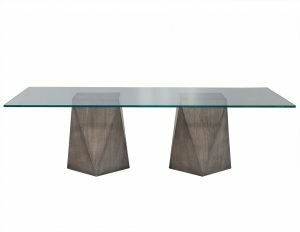 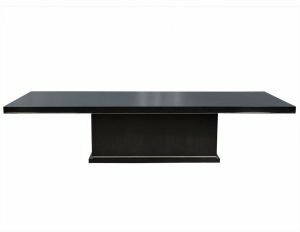 Perfect for any sitting area.